ROMANCE BOOK PARADISE: Author Spotlight on Maria McKenzie! Author Spotlight on Maria McKenzie! 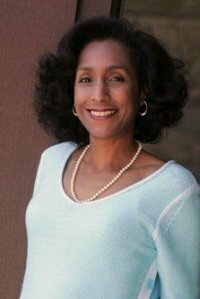 We have author Maria McKenzie answering some questions I posed to her! Tell us about your latest release Escape? Escape is part one of a trilogy entitled Unchained, which is a family saga spanning over one hundred and forty years. Escape opens the trilogy in 1856. In it, Lori is a slave girl, and Daniel, the young abolitionist who falls in love with her and helps her to escape. The Unchained Trilogy is historical fiction with romantic elements. I’m currently at work on Masquerade: Book Two of The Unchained Trilogy. After overcoming torturous trials and challenges, Daniel and Lori have a family. However, their youngest daughter, the beautiful and treacherous Lavinia, chooses to pass as white. Masquerade is Lavinia’s story. She runs away to New York to become an actress, all the while hiding her true identity. Lavinia is introduced near the end of Escape, but she’s a rather demanding character, so demanding that she insisted on having her own book! Okay, here’s the real story: Unchained was originally one novel, but it snowballed to over 700 pages, so last year I decided to turn it into a trilogy. I’m aiming to release it around Christmas of this year (2012). All the best with your upcoming and all future releases Maria! Nas, thank you so much for having me here at Romance Book Paradise! Welcome to Romance Book Paradise, Maria! I do hope you will enjoy chatting with my friends here! Hi, Donna! Thanks, hope you enjoy it:). A trilogy is much better than a 700+ page novel in my mind. ;) Best of luck to Maria. Hi, Kelly! I agree, and I've made each part of this trilogy capable of standing alone. The Unchained series sounds like a good one. In particular, Lavinia's story sounds intriguing. Hi, J.L., thank you! I must admit, Lavinia's story is my favorite part just beaus she's so bad;)! Yes, Lavinia's story does sound intriguing! Shall be looking forward to it! Congrats to Maria on her upcoming release! Thanks Talli for coming by! The dialogue post at Karen's How Dialogue Reveals Character is wonderful for writers! The trilogy sounds great! Congratulations! Thanks for reading along and commenting! Escape sounds fascinating and I think this is a series that I could really get into. I enjoy HF and this time period is very interesting. Wishing Maria much success! Hi, Jess! Thanks so much:). I really love that time period, too. Thank you Jess for reading along! 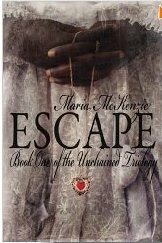 Maria McKenzie, good luck with Escape. Nice to see her here, Nas. Hi, Theresa! Thanks so much:). Daniel, Lori, and Lavinia's stories sound intriguing. It's been wonderful getting to know Maria and her writing from post to post. Thank you for coming by Medeia! Hi, Medeia! Thank you, and thanks so much for stopping by:). Hi Nas! Lovely to see Maria here and to learn more about her upcoming novels. Hi Denise, thanks for dropping by and reading along! Hi, Denise! Thank you, and thanks for visiting:). Sounds like an intriguing series. I'll have to check it out. Thanks, Nas, for introducing me to Maria and her work. Hi, Suze! Exactly;). When I started submitting it to agents, one suggested I make it into two parts. But with rewrites and revisions, it grew beyond 700 pages! As a reader, I'd prefer three parts:). I can relate to a character's demands. Your book sounds amazing. I know you'll do well. Good luck. Thank you so much for being a judge on Romantic Friday Writers. I appreciate your hard work and of course, I'm thrilled I was the chosen winner. Flash fiction is a good way to sharpen your writer skills. I'd be interested in learning more about your editing job. A publisher in Australia. Amazing and best of luck. Hi, N.R., Thanks so much! Yes, sometimes those characters really seem to come to life;). N.R.--Congratulations on your Flash fiction win:)!! Lavinia sounds like a great character and the question of identity is one that, I'm sure, lots of readers can relate to, in one way or the other. Hi, Michelle! Thank you:). I agree, in one way or another lots of go through that growing up. Great post, Maria and Nas! Love how Unchained is unravelling!! It's getting juicier!